Melbourne telephone On Hold Messages and Music On Hold advertising. Telephone messaging and music on hold is a great way to entertain and educate your callers while they wait on hold. Media Messages Melbourne are the audio production specialists, and we are the 'go-to' guys for all professional audio productions for your phone lines. We have an in-house team of experienced copywriters who will work with you to write a captivating script that conveys all the right messages, we will then help you select a voiceover artist from our large range of talented individal, and then our audio engineers will then add the magic touches to really bring your production to life. Telephone messages on hold is the ultimate audio advertising campaign that is directed at 100% of your target market. Call us today and let us help you sound more professional to your callers on hold. Looking for an effective marketing and customer service tool? 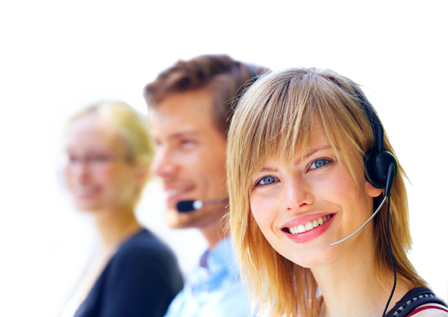 Telephone messages on hold is the ideal solution, and is a great platform for educating your callers of important information such as specials and secondary products and services. See what On Hold Music can do for you, with a free Message On Hold demonstration. Reason 1: The average caller is on hold for 43 seconds - 13seconds longer than a radio commercial. Reason 2: It's your very own radio station for your phone lines, promoting your business! Reason 4: Radio on hold - is NO.T free, and could potentially play inappropriat music and competitor commercials. Message 1 FVO: So you’re looking for a dentist we know that you want experience, quality, service, price and a gentle touch! That’s why at Simply Smiles Dental we strive to ensure all our patients have a positive dental experience through personalized care and exceptional dentistry! Message 2 MVO: A whiter brighter smile in just one hour! Ask us about our 1 hour ZOOM! Whitening - the best cosmetic tooth whitening system available. Nothing whitens better or faster and gets an average 8 shades whiter in just 45 minutes! All our whitening patients’ receive additional whitening gel to keep their teeth whiter longer every time they come in for their 6 monthly visits. All this for our special price of only $498! Message 3 FVO: A whiter brighter smile for just $198! Our dentist administered home whitening systems, direct from the USA, are the best home systems to get you that Hollywood Smile. And during your 6 monthly visits with us, we'll supply you with additional whitening gel for the rest of your life as our patient! Message 4 FVO: Haven’t been to the Dentist in a while? A Lot has changed in the field of dentistry over the last few years, so forget your old fears and anxiety- at Simply Smiles Dental our aim is no pain. On hold messages are really informative just like radio ads, and your customers will no longer feel irritated by your silence, radio or chimes. So let Media Messages create your very own personalised demo to suit your individual business today.